Some answers may be obvious. If you are typically energetic, and you only slept several hours, your body is sleep deprived. After a few good restful nights, and possibly an afternoon siesta, you’ll be feeling back to your normal perky self. But what about those other times when you are feeling tired and don’t know why? Or when you are tired and know the stress (physical or mental), which caused it, won’t be going away in the immediate future? In your body you have these small glands sitting on top of your kidneys called the Adrenal Glands. 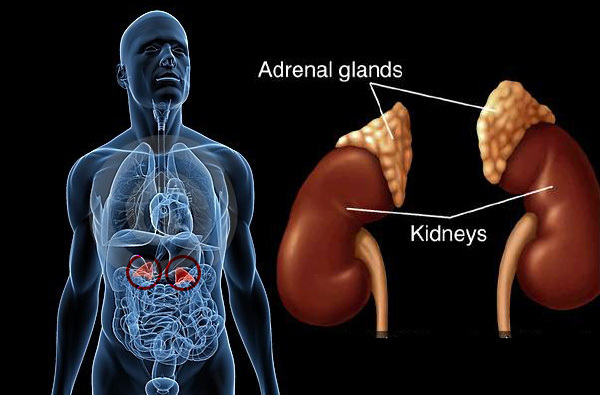 The adrenal glands are responsible for producing two important hormones call epinephrine and norepinephrine, or more commonly known as adrenaline. Adrenaline is a key hormone responsible for giving you energy; the energy to be alert and awake throughout the day, and also the energy to be active going to the gym or for a run. The adrenal glands also produce cortisol, which is key in stress handling, as well as blood sugar balancing. While a lack of sleep and mental stress can cause your adrenal glands to overwork, leading to exhaustion, they should be able to handle periodic stress without making you feel like a zombie. The better the health your adrenal glands are in before being exposed to a major stress, the better your body will handle it and bounce back. Below are some of the major causes of fatigue that I encounter with my patients, and a short explanation of why. 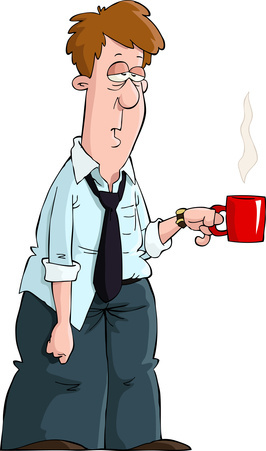 Caffeine is the most common go to in the world for people with fatigue. Caffeine sends signals to your body to produce more adrenaline. This is what gives you the initial buzz, but then a crash later. Your adrenal glands have to work extra hard to produce that adrenaline, giving you an initial buzz of energy, but in the long term just causes more adrenal fatigue, making you more tired. You may as a result use up your adrenaline producing nutrients and need to supplement them temporarily to fully recover. Whenever you eat sugar you cause your body to secrete insulin to lower your blood sugar levels to their “normal” range. Yes, this does even happen with “low calorie”/”diet” sugars such as aspartame!!! Aspartame and Blood Sugar. Your adrenals work together with the pancreas to regulate blood sugar. While insulin is secreted from the pancreas to lower blood sugar, cortisol is secreted to increase your blood sugar. The more your blood sugar goes up and down by eating sugary foods the more stress you’ll be putting on not only your adrenal glands, but also your pancreas (potentially leading to diabetes). Dysbiosis (more to come on this in a later blog) is simply an imbalance of microbes in the gut, specifically too many bad microbes and not enough good ones. Dysbiosis causes virtually any symptom you can think of, but in the case of this article it does 2 key things. 1, Dysbiosis won’t allow your body to properly absorb the nutrients and minerals it needs from your food, robbing your body of key essential nutrients it needs to survive. 2, Dysbiosis causes inflammation in the gut (and elsewhere), which then causes your adrenal glands to produce cortisol to fight the inflammation. While cortisol does help you fight inflammation, it also reduces your immune response, causing the dysbiosis to get even worse! Fatigue is a common side effect of dysbiosis. One of your main stress handling hormones is cortisol. The more you are stressed, the more cortisol you release. This not only stressed the adrenal glands by making them produce more cortisol, but it also affects blood sugar and dysbiosis, as mentioned above. Your adrenal glands heal from many things, with sleep being a key factor. When you don’t sleep you don’t give your adrenal glands the proper rest they need to heal, but also you cause them to up their production of adrenaline for energy, making them work extra hard in order to not run out. When you eat foods your body is sensitive to, it causes your body to produce a histamine response. This response is then countered by cortisol and adrenaline, putting more stress on your adrenals. These are some of the main causes of fatigue we experience. It may seem as though many of these issues are simple to fix, but are they? Not many people I know can eliminate stress, sleep more, stop their refined sugar intake, and cut out all caffeine in a single day. Thankfully there are natural ways to help with the process. Sometimes certain all-natural supplements can help your body restore mineral and vitamin content and help heal your adrenal glands to not only speed up the process, but also make you not feel like a zombie as you go through caffeine withdrawal. Other causes of fatigue can include improper dietary choices, amino acid imbalance, heavy metal and chemical toxicity, an overloaded liver, etc. Getting tested by a certified Professional Applied Kinesiologist can help you identify any food sensitivities you have, which will decrease stress on your body. They can also help you identify if you need any specific supplements to help your adrenals heal, plus checking for the other factors listed in this article (dysbiosis, food sensitivities, heavy metal toxicity, etc.). By doing this you will increase the strength of your adrenal glands and allow your body to handle the stressors of day-to-day life better without experiencing fatigue. So remember: the less we do to stress our adrenal glands, the less tired you will feel, and the faster you will bounce back from any stress you encounter. Please feel free to email me at DrNoahLebowitz@gmail.com or comment below with any questions or comments you may have. I hope you found the information beneficial and please check back for info on more common health issues. Excellent article. I have been under a lot the last few months, and my body is always tired and sore. Thank you for the information. Being on Texas, do you have a name of a dr here you may recommend? Yes, you are absolutely right. Sometimes it is fixable in days, sometimes, weeks. Sometimes it’s quite easy, but other times it takes patience and dedication to change ones dietary and other lifestyle habits to induce true healing and health and not simply a quick fix.